1. What is Keep My Tennessee Home? The Keep My Tennessee Home program provides financial assistance to homeowners who were approved for Social Security disability after purchasing their home and veterans of recent war. The Keep My Tennessee Home program is administered in Tennessee by the Tennessee Housing Development Agency (THDA). Chattanoogan Neighborhood Enterprise handles the applications for Chattanooga, Hamilton County and the following surrounding areas: Rhea, Bradley, Meigs, Marion, Sequatchie, Bledsoe, McMinn, and Polk. 2. I am a veteran of a recent war. How can I qualify for assistance? Many veterans of the recent wars in Iraq and Afghanistan have returned home only to lose their homes due to foreclosure or struggle to maintain them. If you are one of these veterans, limited funding is available to help you keep your home and your peace of mind. Your active duty military service must have been after January 1, 2001. Please note, you do not have to be behind to receive this assistance, but must meet the minimum criteria mentioned above. 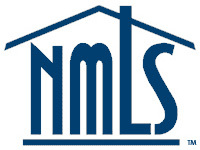 CNE is a locally owned and operated HUD Approved Non-Profit Foreclosure Counseling Agency. All of our foreclosure services are completely free of charge. In addition, we are the only counseling agency in southeast Tennessee to be chosen by THDA to administer the Hardest Hit Fund foreclosure assistance program. Eligible applicants could receive up to $40,000 and/or 18 months mortgage payment assistance through the program. CNE has assisted over 2,000 local homeowners facing foreclosure since 2008. More information regarding this program can be found on THDA’s website at www.keepmyTNhome.org. In order to apply for financial assistance, you must first attend a foreclosure prevention application session. Click here to register for an upcoming session. We will send you a checklist of items needed to complete your application. You MUST bring these items to your scheduled appointment. At this session you will complete the necessary forms required for assistance. If you cannot register online, you may also contact our Foreclosure Prevention Hotline at (423) 664-HOME (4663) and register by phone. We are here to help. If you have questions regarding the application process or required documents to apply for the financial assistance, feel free to call our Foreclosure Hotline at 423-664-HOME (4663).